As with Peter, Jesus is asking each of us to step out of the boat into the deep water. He's asking us to do something dangerous—to walk alongside Him—no matter what the risk! He's asking us to trade our comfortable worldly existence, and our personal desires, to instead live recklessly for Him! 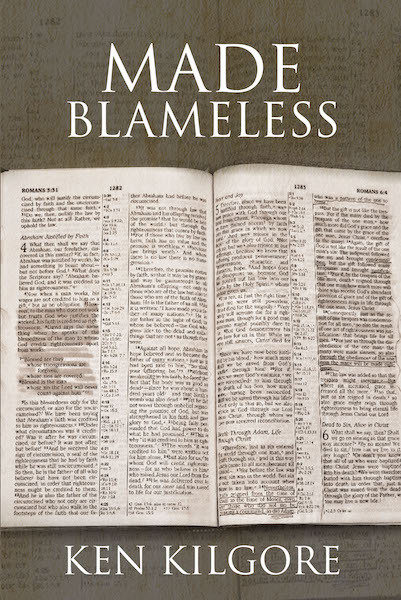 Through the power of the Holy Spirit, Made Blameless will fortify your faith and empower you to overcome the snares and misdirection of this world. You'll grow fearless in sharing the resurrection miracle of our Risen Savior casting aside the mocking of unbelievers to introduce revival to those who are willing to “hear and understand.” Challenged by unique Bible observations and emotion-packed stories, you will bask in the wonder of His miracles and the glory that surrounds His throne! His love will be intensified as you awaken each day joyfully and prayerfully, knowing “He must become greater; I must become less.” In doing so, you will forever walk with the grace, love, and strength found only in God's Redeeming Son, Jesus Christ! Made Blameless by His one righteous act!